Get our blogs on driving growth, improving cash flow and increasing profits! Expand Your Profit Margins with Job Costing: Learn How! 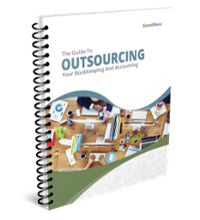 Learn the Challenges of Financial Management and the Benefits Outsourcing Bookkeeping and Accounting can offer. GrowthForce is not a CPA Firm. GrowthForce accounting services provided through an alliance with SK CPA, PLLC. © Copyright 2018 GrowthForce, LLC. All Rights Reserved.